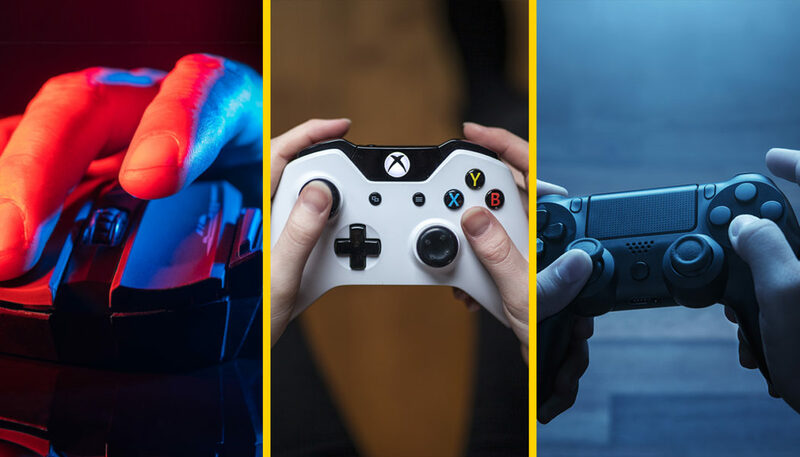 For those who aren’t involved in gaming in any real way, it can be hard to understand why there seems to be so much animosity between those who game on their TVs using consoles like the PlayStation 4 or Xbox One and those who do it on their PCs. There seems to be an attitude from a lot of PC gamers that PC gaming is simply superior to console gaming in every way. But is that true? Well, yeah, pretty much. PCs have more power behind them as well as a whole host of extra features that consoles can’t match up to. The main reason that consoles have always been more popular is that they are generally a little cheaper than a high-end gaming PC and that they have always been quicker to boot up and start playing right away. However, over the last few years, things have shifted a little bit. Thanks to the way that console gaming has shifted over time, you now have to deal with things like constant updates and install periods that make it just as, if not more, time-consuming than using a PC. So what are the benefits to PC gaming and why should you bother giving it a try? The main argument that PC gamers have always used over console gaming is that PCs simply have more power than a console. And this is certainly true. Look up any comparison between the same game on the Xbox One compared to a well-optimized PC, and it’s actually pretty staggering. The game often looks better, performs more smoothly, and is generally more of an immersive experience. 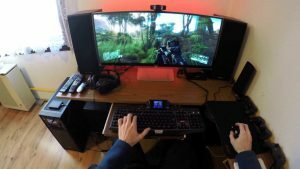 Of course, you’ll get the most out of that if you have a high-powered PC, an up-to-date graphics card, and the best monitor possible. Not only that but the use of a great mouse and keyboard often allows you to respond to the games that you’re playing much more quickly than you would on a console. Meaning that online and competitive gaming really is at home on the PC rather than the console. When you get a game on a console, you can pretty much guarantee that, whatever is on the disc, that’s the way it’s going to stay. It’s rare that a console game features any really significant patches or updates, especially if the game is a few years old. However, on PC games are constantly being patched or updated to fix gameplay problems, sort out issues with the graphics, add in new features, and more. Not only that but many PC games have support for mods which allow you to tailor the game to your specific needs. If you want to improve the visuals, then there’s probably a mod available for that. Or perhaps you would rather just have everyone in the game walk around with giant heads and party hats on? Well, there’s probably a mod for that too! There are plenty of places like DotBeasts that can help you find the best components and features out there when it comes to your PC. It’s this level of freedom and customization that leads so many people to greatly prefer PC gaming as a general experience to the slightly more limited one that you would get on consoles. Sure, the way you play will always come down to personal preference, and there are some arguments for and against both console and PC gaming. But if you really want the best possible gaming experience, both in terms of convenience, and raw power and performance, then you really do owe it to yourself to track down a decent gaming PC and give it a try! Read Dead Redemption 2 Special and Ultimate Editions, £89.99 Collector’s Box Announced. Hard to Beat a Video Game? Stuck On a Level? Don’t give up, embrace it! 3 Comments on "Is PC Gaming Really That Much Better?" It’s not. I left PC Gaming to Console for many reasons. This YouTube Clip sums it up.